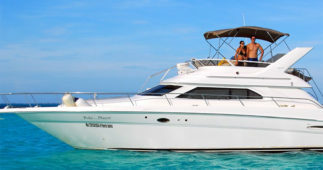 Hotel pick up is not included but it is easy to get to the Marina as it is right in the Cancun hotel zone. Just take a taxi or bus to the Marina. 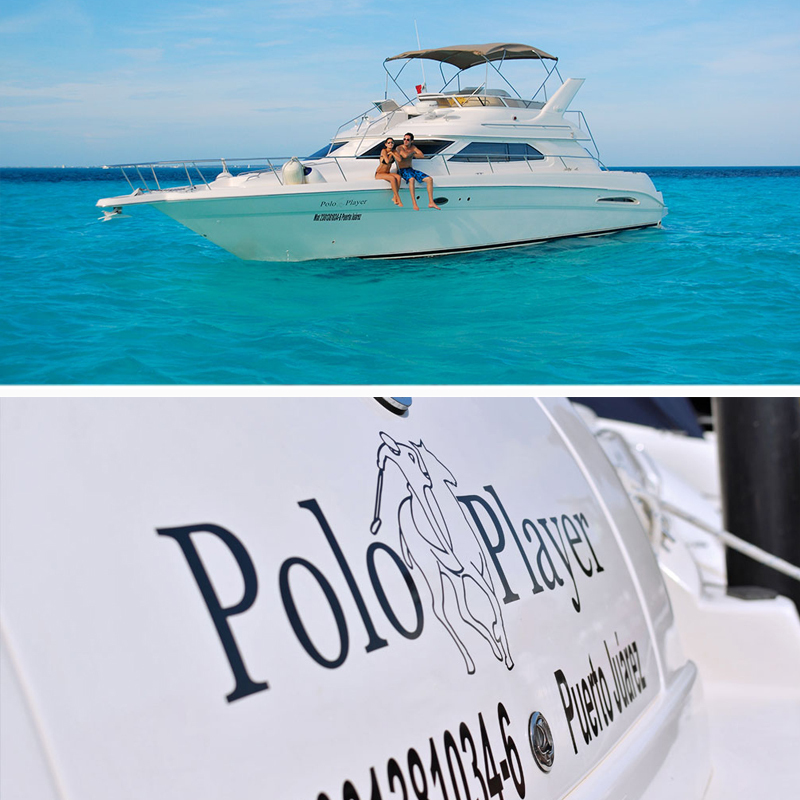 SKU: cancun-yacht-charter-polo-player. 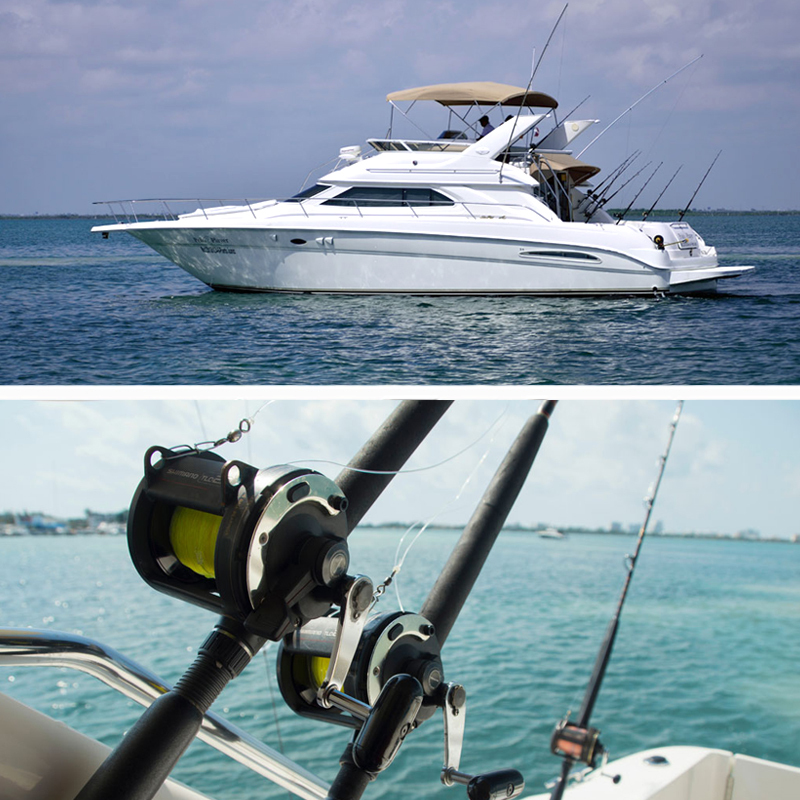 Categories: Cancun Fishing Charters. 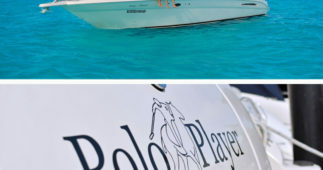 The Polo Player Yacht is part of the luxury fleet, and is excellent for cursing over the most beautiful warn waters of the Caribbean Sea, with its luxurious interior and exteriors is charming and comfortable Yacht for that special occasion or a family day. 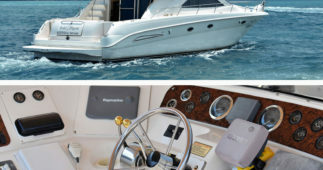 When you rent the Polo Player Yacht you will be able to show off how good you are as fisherman and remember that you can bring back to your hotel the catch of the day and the chef will cook it for you. 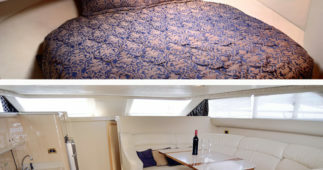 Amenities: 1 Cabin with double bed, 1 single cabin and a full bath, ample space with roofed seating up top; built-in kitchen, table and sofa for 4 to 6 persons, mini-bar, music equipment, television. 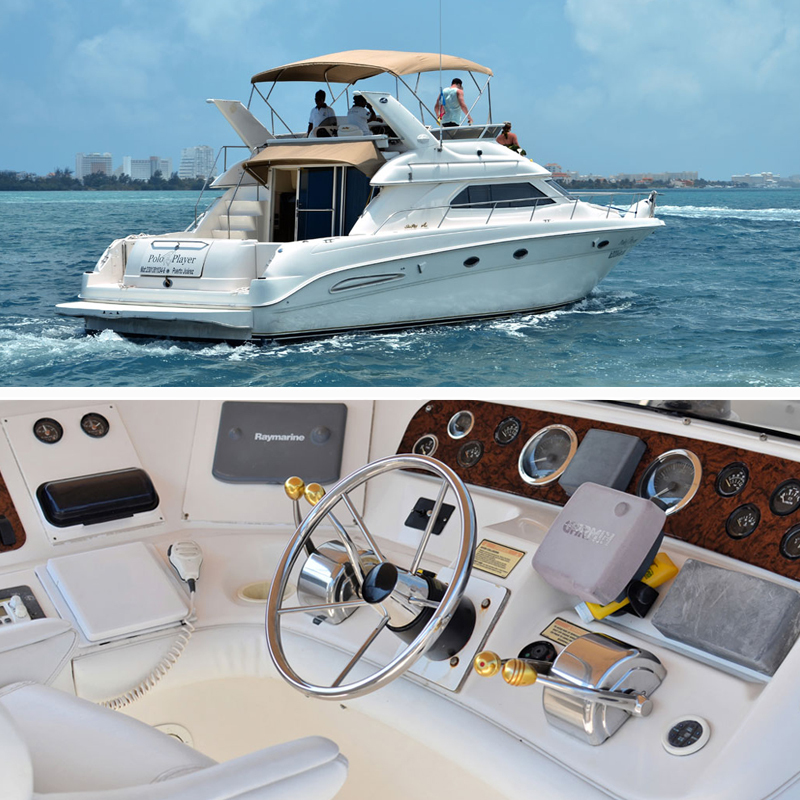 The Polo Player is the fishing yacht par excellence of our fleet and is as charming on the outside as it is luxurious on the inside. 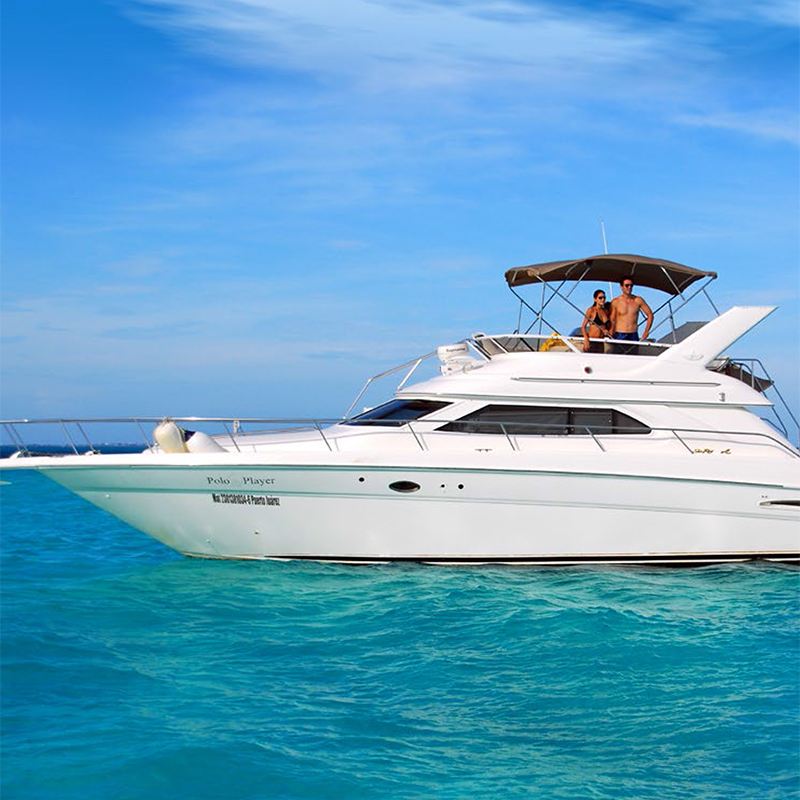 The spacious upstairs deck is the perfect place to observe the grandeur of the Caribbean Sea. 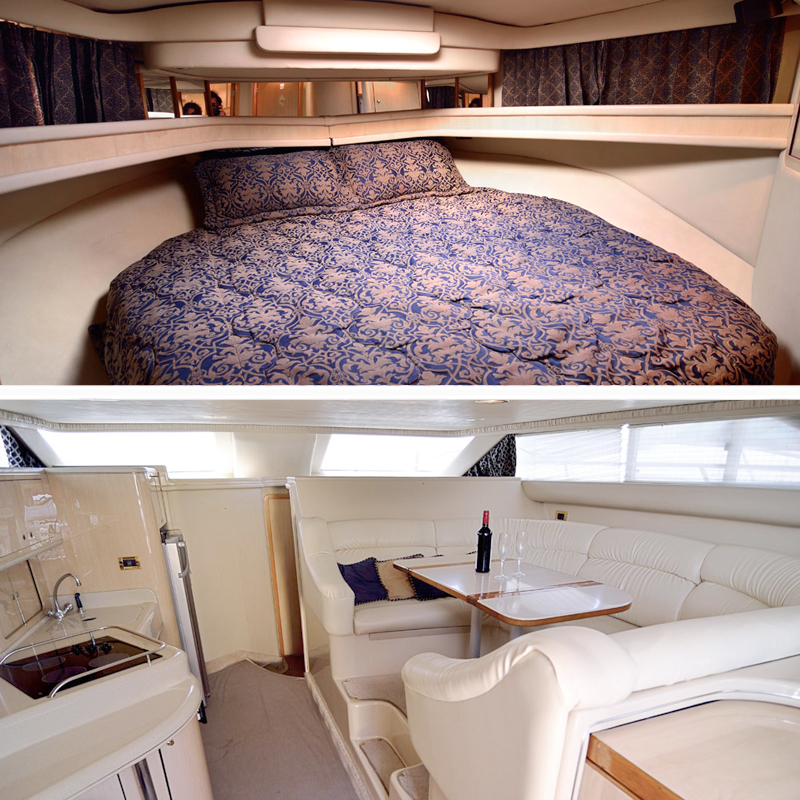 The roomy interior contains a comfortable seating arrangement with sofas and a table as well as a stereo system, television, fully equipped bathroom and one bedroom with a double bed. All the amenities you need to take a break from the sun in a truly relaxing atmosphere. 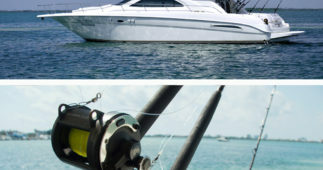 Take a trip on the Polo Player and show off just how good you are at fishing! And don’t forget: you can take with you what you catch and have it prepared for you at your hotel! 5 usd tax per person.